When you learn about relationships, you’re, especially, learning about your partner but also you’re learning more about yourself. 1- You know this feeling, at the beginning of a relationship, when you believe that the one you love isn’t a human being, he might as well be an angel. When you feel like he’s too perfect, too handsome, too good to be true. It’s infatuation! It won’t last, though. Being in love isn’t like falling in love. Though that doesn’t mean that what you’re going to feel later when you get comfortable in that love will be less intense or rewarding, no! For each stage of love there will be different feelings to enjoy, if you only take the time to notice them and live in the present. Because many people stay locked up in that first stage of their relationship love, they miss that infatuation and keep wondering what happened to that intense love, is it gone for real? They don’t get that way to enjoy what this stage of their relationship love is giving them. 2- When you first get into a love relationship, both you and your partner start obligingly acting, which mean being someone you are not. You get too interested into that person that you try hard to understand your partner and get to know him well. You then, sense all the things he’s looking for and you try to meet his needs, temporarily, you change into someone you are not. You go the extra mile and you put in much effort you don’t usually put in. Thus, you appear as if you were a perfect partner whom you’re not. Like for example when your partner needs to feel safe, you start without you realizing to be protective which you might not be if it wasn’t for this relationship, and the same thing goes for your partner. As much as perfect you might look like at the beginning of a love relationship, unfortunately, one can’t keep acting his whole life. After some time, you’ll go back to who you were and your partner will probably feel disappointed thinking it was all a deception and lies. The problem isn’t about this change of behavior, it’s certainly well-intentioned, but the problem is about believing that your partner is perfect. When you meet someone, you shouldn’t believe the way he’s being but the way he used to be, the person he used to be, because after some time he’ll go back to who he used to be and to the life he used to live. After all, no one changes overnight, not in a permanent way at least. 3- The bitter reality, is that to break up and get into a new relationship, doesn’t mean that things will be easier, it doesn’t mean that you’ll have a fresh start. Your new relationship will take the same effort your previous one took from you, if not more, and as long as you don’t change for real, nothing will change! Consider that it wasn’t just your ex’s fault, partly it was your fault too. Often people get into a relationship for the wrong reasons, they’re looking for approval outside themselves, they want someone to make them feel accepted when they couldn’t accept themselves. 4- To feel hurt has more to do with you than the one who hurt you. When you take things personally, seek approval from your partner… that’s what’s hurting you, it wasn’t really what you partner did or said, but the way you view it, your attitude. One should take things lightly because nothing is really as it seems. A judgment or someone else’s opinion about you can’t make you less of a person even if it was about your words or actions or thoughts. In fact, you’re not your words, your deeds or your beliefs, you’re something way too bigger than that. 5- When in a relationship, you won’t always feel good about it. 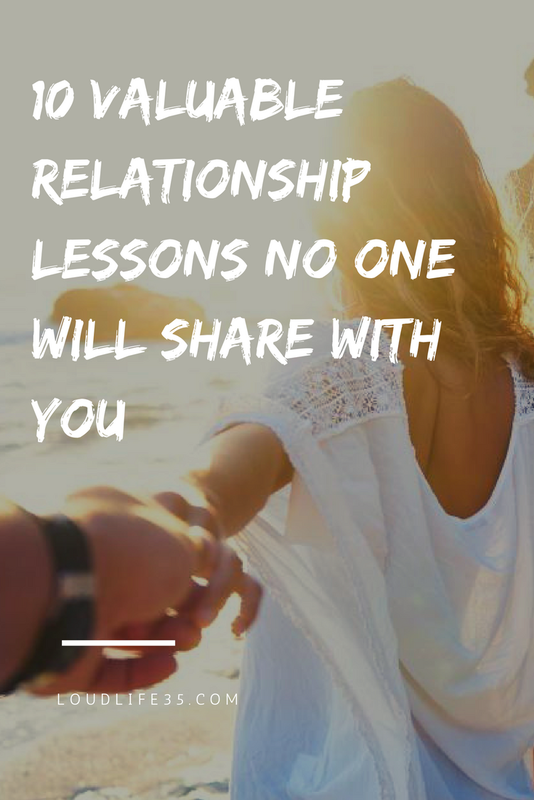 There will be jealousy, misunderstandings, arguing… the point is you can’t judge that a relationship won’t work or that your partner isn’t worth it because of a bad day! Therefore when things are taught, forget about it and give it some time. 6- It’s not about the weight you’re holding but how much time you hold it. It’s important for us to heal our wounds. If it’s an incident with a partner, you should discuss it. Your partner won’t read your mind and he isn’t supposed to know by himself when something is wrong. It shouldn’t have anything to do with your ego. You shouldn’t view it as something that would make you less worthy, or make your partner think less of you. At the opposite, it can save you much pain and hurting. 7- How come the people we need to appreciate most, are actually taken for granted! The same goes for the things that are crucial in your life, yet, you never stopped for a moment and thought how grateful you are for it. But we come to realize something’s worth every now and then and that’s when it’s gone. Right then we start to appreciate it, only it’s too late. For that, you should remind yourself to give some appreciation to your partner and his efforts. Efforts takes much pain, but appreciation eases it a great deal. 8- When things gets tough, it’s easy to imagine your partner changing and things getting perfect between the two of you, yet, it’s uncommon to happen in this real life, simply because people don’t change just because we asked them to or threatened them to leave. It’s not about how much they love you nor it is because they can’t see anything wrong about it, even when they don’t admit it, deep inside they know that something is wrong and needs to be fixed. But it’s because they lack the inner motivation to change. People change when they want to change, and not when they have to. 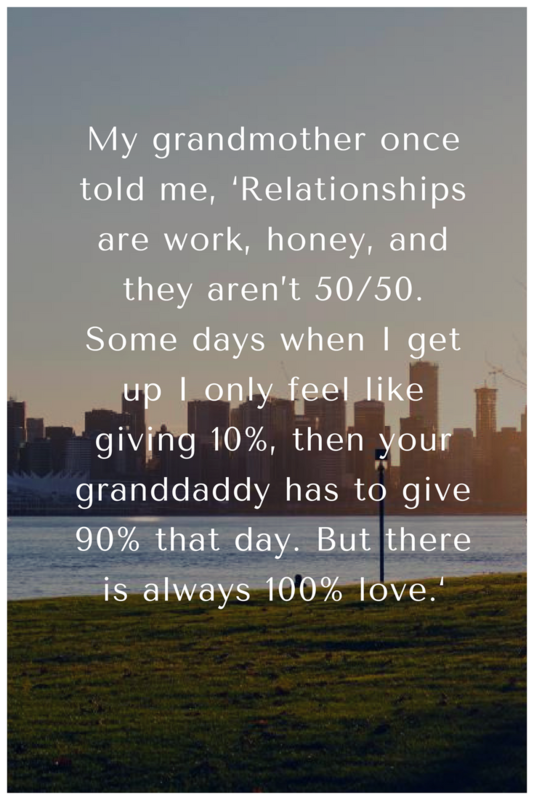 9- How can someone possibly get involved in a relationship where he knows that it won’t last, that his partner will have to leave at some point, maybe it wasn’t a deep love, but it was something. How can someone be so daring where his feelings are concerned, when he’s most vulnerable? Love is blind, now isn’t it! You know that you’re not meant for each other, that things won’t work out between the two of you, and still, you take the chance, you take the risk. You know you probably will end up breaking your own heart and you still get into it. 10- After all I’ve learned the hard way that it’s not really about finding the one, your prince charming. It’s rather about loving the person you chose. Because no one is perfect, and you’re no exception. At the same it’s no excuse to stay with someone who doesn’t love you, care for you or treat you badly.